An immersive art app developed by Victorian College of the Arts lecturer Robert Walton is in the running for the Oscars of the internet. 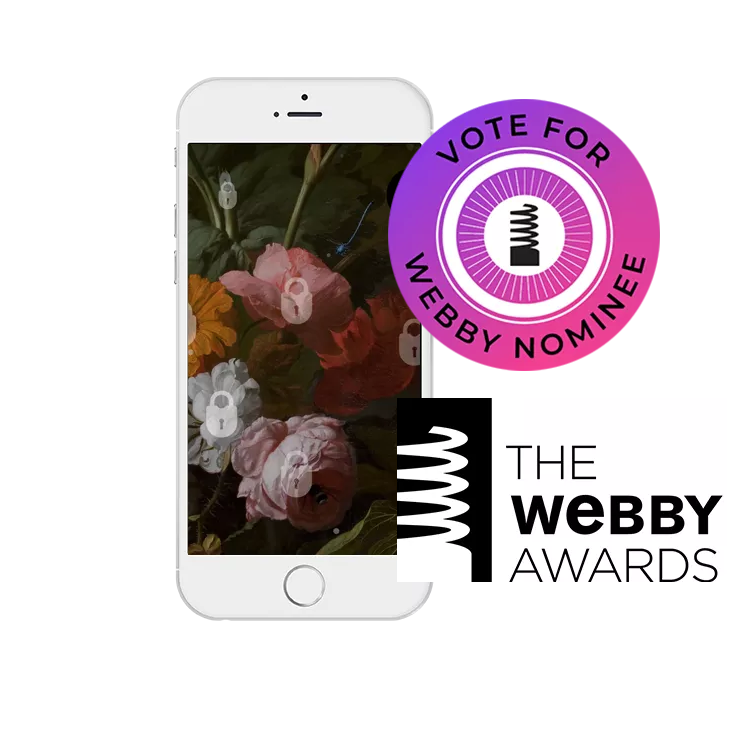 Last Tuesday we found out that Vanitas, an art work I created with my colleague Jason Maling for smartphones and cemeteries, has been nominated for the Webby Awards, colloquially known as “the Oscars of the internet”. To put it mildly, we are excited. Nomination means that Vanitas is considered one of the best projects in the world for its category, Mobile Sites & Apps – Art & Experimental. Blurring documentary with fiction, Vanitas is a reflective thriller about life’s great mystery: death. Experienced through their own smartphones and decrypted through the secret language of flowers, visitors embark on a self-guided walk through selected cemeteries. Alone. Intrepid audience members listen to the app as they wander towards a rendezvous at the centre of the cemetery. It’s a meditative experience that asks you to listen deeply and look closely at the world around you. However, Chapter 1 can be experienced anywhere – so you can download it right now to get a taste. The story is told wholly through remixed audio fragments taken from interviews with a variety of experts on the themes of vanitas, flowers, life and death. Then, if you like it you can move on to Chapter 2 – which has been staged to great success with our partners at Southern Metropolitan Cemeteries Trust at Melbourne’s General Cemetery so far and will be visiting more cemeteries soon. At the cemetery we find out about the secret language of flowers, witness a cremation, and talk to botanists, historians and professionals from the death industry. Everyone involved, especially our amazing programmer Chris Heywood, has poured hundreds of hours into Vanitas and more than we ever could afford to pay them. So up against the multinationals with hundreds of staff we are in a bit of David and Goliath situation. Vanitas is the only art work in the Mobile Sites & Apps – Art & Experimental category, and the only Australian nominee. The other nominees spread around the world are all pretty amazing, but their projects are tools or marketing devices. We thought there would be more art in the art section, but it’s just us. So we will proudly fly the flag for both arts practice and Australia at the Webbys. There are two ways we can win. The first is from a vote from The International Academy of Digital Arts & Sciences. The second is through the People’s Voice Award. That, dear reader, is where you come in. We need votes! We need everyone who wants to support Australian talent and everyone who likes to see art works in the Webbys to vote for Vanitas. So please take two minutes to VOTE NOW, and then share the fact that you voted, and why, on Facebook and Twitter. We are currently planning for a national and international tour of historic cemeteries. It will be returning to Melbourne and Victoria at the end of this year and the beginning of next. We also have some interstate dates lined up and we are looking a year into the future to see if we can take our strange and beautiful art work to cemeteries in Europe and North America. If you have a favourite old cemetery, preferably one big enough to get lost in, please leave a comment below or drop us a line at the Vanitas website. People’s Voice voting for the 2018 Webby Awards closes on 19 April. Chapter 1 of Vanitas is free to download. Chapter 2 takes place at participating cemeteries. Like the Vanitas Facebook Group to stay informed. Sign up for the Faculty of Fine Arts and Music’s monthly enews. 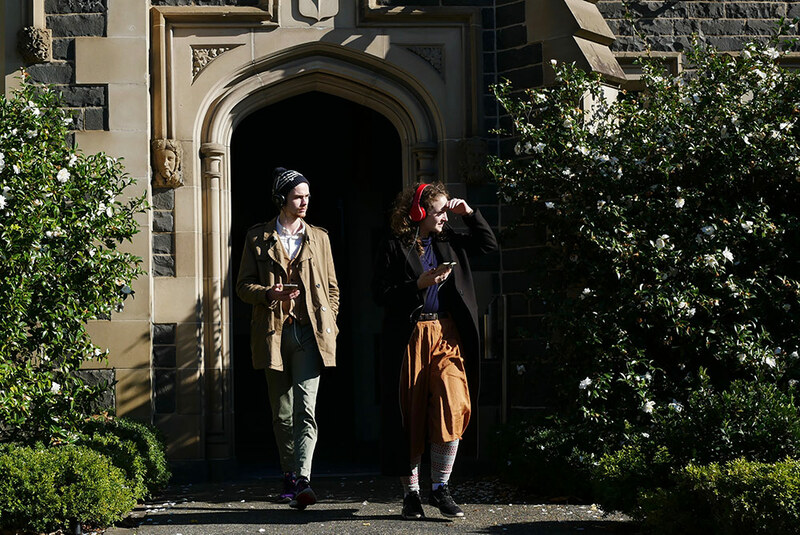 Find out more about Theatre at the Victorian College of the Arts. Next Next post: VCA Dance is 40 – Happy Birthday!